I know from personal experience that cats love to be read-to. 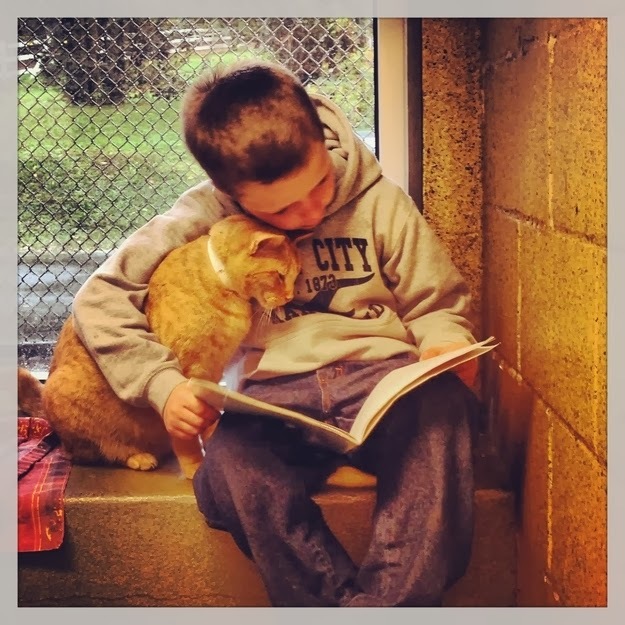 Here is a wonderful program at the Animal Rescue League of Berks County (Pennsylvania) - called Book Buddies. Kids come in and read-to and comfort resident cats. Check out these wonderful photographs on buzzfeed. Here's more information about the Animal Rescue League of Berks County. Photo courtesy of buzzfeed and ARL of Berks County.